I recently did a tear down of a cheap doppler radar module that I'd bought on ebay. It's used to sense the speed of an object by measuring the frequency shift of a radar signal that bounces off it. 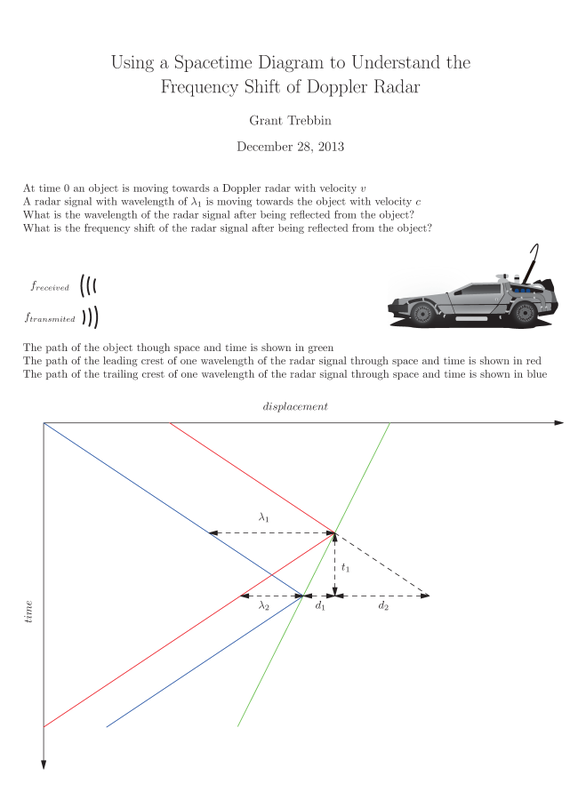 When it came time to work out the speed, I found out that my initial understanding of the problem was wrong. I had trouble getting a intuitive picture of how the signal was changed until I drew a few diagrams. 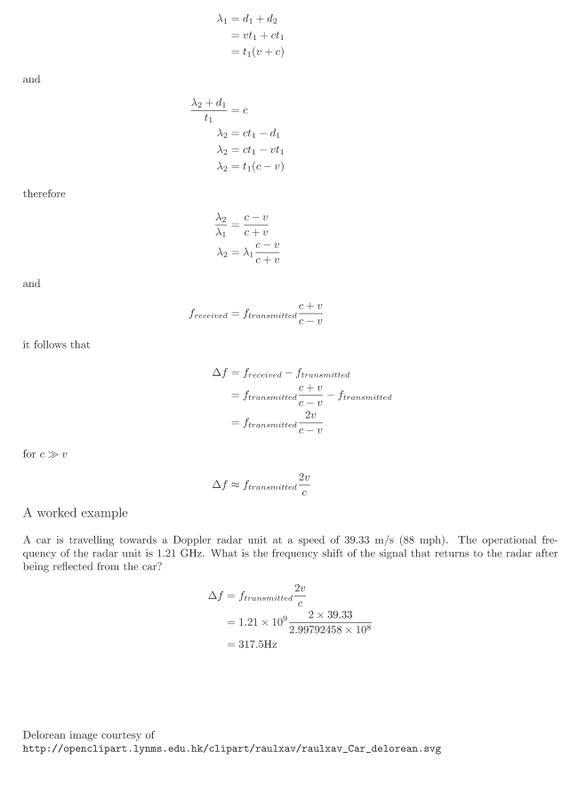 They helped me a lot and I thought they might be able to help someone else visualise Doppler radar frequency shift.